Grace Church was admitted as a parish of the Dioceses of Maryland at the Diocesan Convention held in Baltimore in 1870. In the late 1870’s, the Reverend James Stephenson, D.D., a native of Ireland, was appointed rector of Grace Church. He helped develop not only Grace Church, but also the missions of St. James, Mount Airy, and St. Paul’s, Poplar Springs. 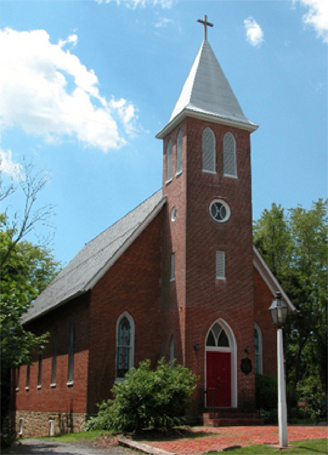 Dr. Stephenson combined these three congregations to form the Linganore Parish in the early 1890’s. 2009 was a special year in the life of Grace Church as we celebrated the first anniversary of the new church in April, and as we marked the 140th anniversary of the congregation later in the year.